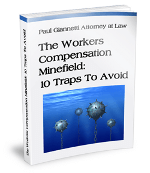 A common concern to Workers’ Compensation claimants involves reduction of their weekly Workers’ Compensation benefit. There could be many reasons for the reduction but most commonly it is a result of a medical report indicating that the claimant’s condition is improving. 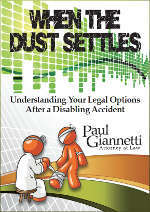 If your benefit has been reduced it is probably time to consult with an attorney. In many instances, an attorney can have your rate increased or can advise you as to alternative sources of income such as unemployment benefits or Social Security Disability benefits. You may or may not qualify for any additional benefits, but you should always understand your legal rights. Failing to do so plays right into the insurance company’s hands. If you reside in the Albany/Capital District area of New York State and have questions about your Workers’ Compensation claim, we would be happy to speak with you.